Dance class is educational and fun, however, an important part of class work is developing an attitude of discipline and respect for teachers and fellow students. We trust that following our classroom etiquette will provide an environment whereby classes at BSODS will be a pleasure for all concerned. • We request that students carefully observe our dress code as outlined as the dress code will be strictly enforced. • The Waiting Room is for parents for students to wait prior to the start of their class. Please bring only bottled water or covered drinks and non-peanut dry snacks into the waiting room. • Any student arriving more than 15 minutes late will not be admitted to class. For your safety and to receive full benefit from your class, please arrange for a make-up class if you expect to be very late. • All students are encouraged not to leave the room once class has begun. Please allow for appropriate restroom use prior to class. Very young children (ages 2½ through 5) will be treated sensitively should the need arise. • Preschool children may need a parent’s attention from time to time for various reasons including bathroom or behavior issues. Please do not leave the waiting room when very young children are in class without informing the office or having another parent responsible during your absence. We make every effort to have all children feel safe and cared for in a loving and inspiring learning environment. • Please practice respect. This applies especially to our school age and teen students. Students are not to be socializing in a disruptive manner during the class with other students. Please come early or stay late to enjoy friends in the waiting area. Please honor your teacher and fellow students by giving full attention and cooperation. You will be advised if we feel any student is not well adjusted to the classroom environment for any reason over time. • During class if a student complains of being ill, or sustains an injury and cannot participate, the instructor will send them to the office where the parents will be notified if not on the premises. • Only students with a pre-existing sickness/injury are allowed to observe class. The parents must notify the office if a student is to observe class. • Out of town guests may request to visit at any time throughout the year. No one else is allowed to sit and watch during regular class time. • NO PARENTS ARE ALLOWED TO BE IN A STUDIO WHILE CLASSES ARE IN SESSION. We will schedule parent observation days in advance so that you may view your child's progress. We appreciate your cooperation in this matter. • Shorts and crop tops are not acceptable for any class. • Students may not wear any jewelry. 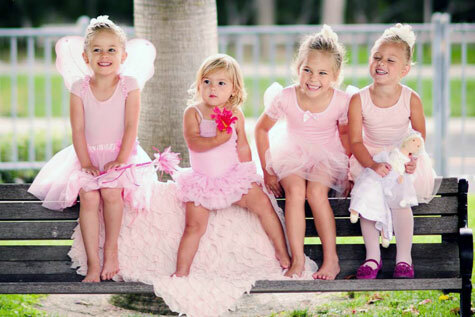 • Proper dress for dance class is extremely important as teachers need to be able to see a dancers body in order to give corrections in placement and alignment. Please visit the Class Information page for specific guidelines on each class' dress code.